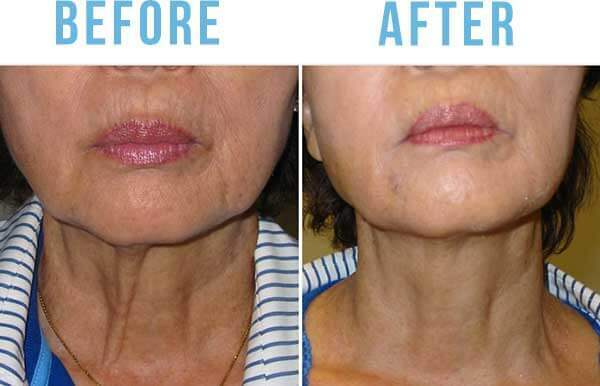 Are you unhappy with loose and droopy skin that makes you appear aged? As we get older, our skin continues to lose hydrating properties that are responsible for elasticity and the youthful appearance of skin. Luckily, with advances in laser technology and cosmetic treatments, there is a reliable solution available for improving the look and feel of your skin. With revolutionary SkinTyte treatments, you can achieve tighter and more-youthful looking skin. SkinTyte is a safe and customizable treatment for safely improving sagging skin for all skin types. Treatments utilize the power of advanced light technology to effectively heat and tighten damaged and lax skin tissue. Results work to improve the quality of skin from within while tightening and firming skin on the surface for a younger look. Each treatment is personalized to address the specific needs and desires of each patient. This revolutionary system offers smooth and youthful skin tailored to you. During the process, the specialized system is held to the treatment area. The SkinTyte technology then works to emit the advanced infrared light energy to the deeper levels of the epidermis layer, while the specialized cooling function works to regulate the temperature of surrounding tissue for safety and comfort. As the energy is delivered in rapid pulses, contractions are promoted, and dermal collagen is heated. This effectively activates the body’s natural healing function to replenish and tighten the skin from within. There is no required downtime following treatments, Depending on your specific skin condition, multiple treatments may be suggested. This revitalizing remedy can improve the quality and firmness of your skin on any part of the body. If you are ready to reclaim tight and firm skin, SkinTyte advanced treatments could benefit you. Reach out to us here at Precision MD located in Sacramento, CA. to learn more. Contact us today and schedule your consultation towards a younger looking you!